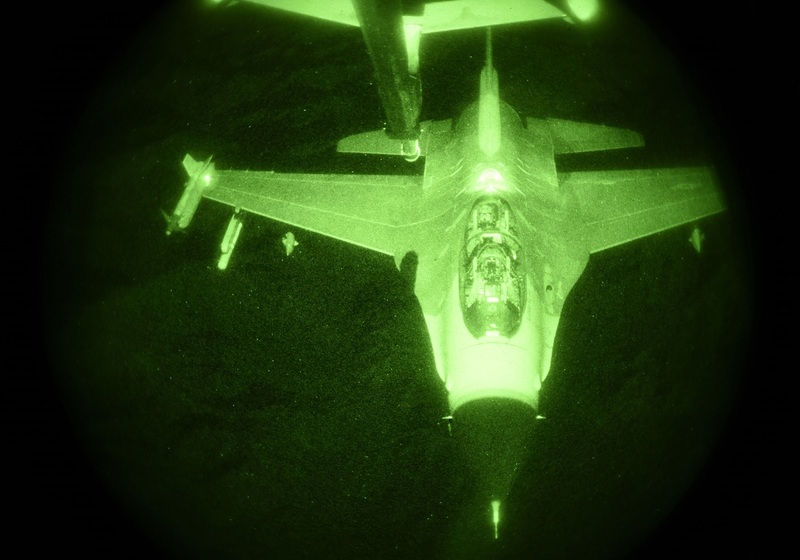 As told by Airman 1st Class Ridge Shan, 56th Fighter Wing Public Affairs in the article F-16 pilots learn to fight at night, training to master nighttime operations enables a pilot to utilize a vast set of tools and strategies to increase their lethality in combat situations. That’s why F-16 student pilots at Luke Air Force Base (AFB) learn important skills and combat tactics essential to flying and fighting at night. While nighttime air combat operations are a crucial aspect of current U.S. military doctrine, this wasn’t always the case. Since then, nighttime air combat operations have proven successful in numerous engagements such as the war on terror and the conflicts in Afghanistan and Iraq. Today’s night training takes the experience gleaned from past conflicts and combines it with advanced modern technology and a thorough training regimen in order to craft capable and well-rounded pilots. 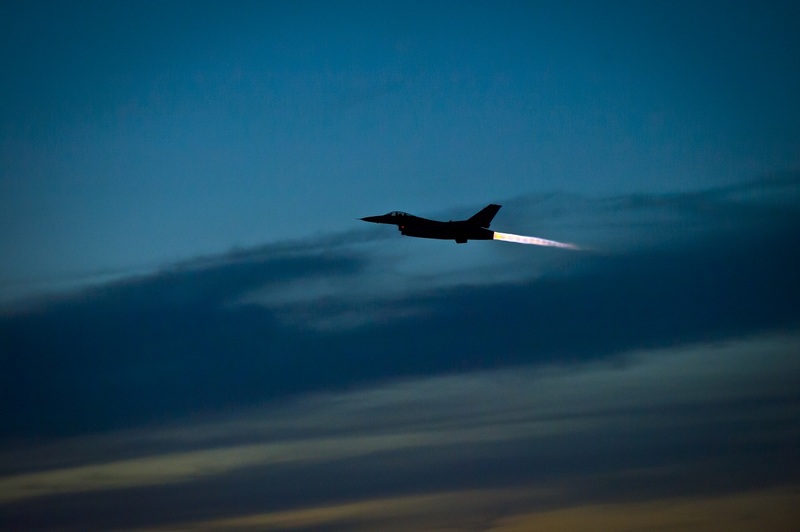 Night training occurs in two blocks during the eight-month training cycle of student pilots in the 310th FS. Each block lasts between two and four weeks. Blauser says this training is based on a crawl, walk and run mentality. The first block introduces the pilots to proper utilization of night vision goggles (NVG), basic night flying, single-ship instrument flying, tactical intercepts, and basic nighttime air-to-air combat techniques. The second block teaches them advanced nighttime air-to-air and air-to-ground combat techniques that simulate the types of engagements they might face today. “We never know when the call is going to come or what time of day a combat situation may occur,” Blauser said. In order to mitigate the amount of disturbance night flying might cause for local communities, pilots who fly at night utilize changed flight patterns and practice locations. Gaetke says that, despite the possibility of noise, night flying is essential to training combat-ready warfighters. The instructors of the 310th know that preparedness means being ready at all times, which is why they teach their students to fly regardless of how dark it is outside. 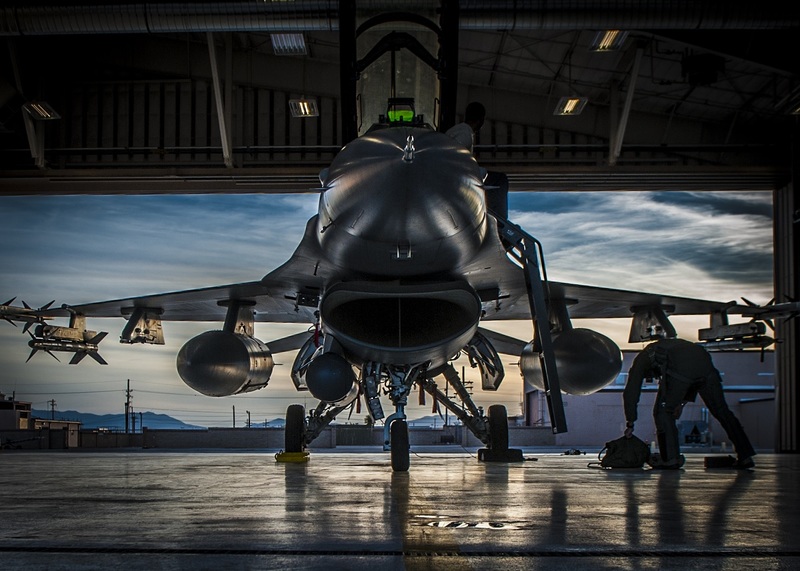 “In order to train the world’s greatest F-16 pilots, we teach our students to operate day or night, under any weather condition, no matter what happens in order to get the mission done… we need to make sure they are prepared for everything,” Blauser said.